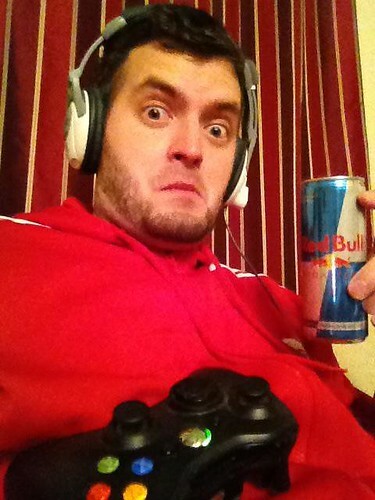 2:41 a.m. and I’d be a zombie if it weren’t for energy drinks. 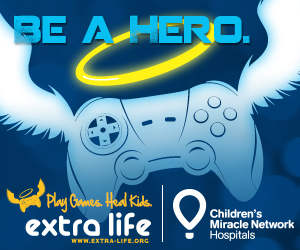 Another year down, another successful 24 hours playing video games in participation of Extra Life to help kids at Doernbecher Children’s Hospital. It wasn’t easy, but it was a blast playing with friends and straight-up relaxing on the weekend. As I write this, the record total donations stands at $1,882,510 for children’s hospitals around the world. This spectacular news wouldn’t be possible, if it wasn’t for the wonderful person who inspired this all to happen – a young girl name Tori. But there are so many more people who make this possible: the gamers, the friends and family that donate to a good cause, and the hardworking individuals who make this charity possible annually. If it weren’t for all of us, this wouldn’t succeed each year, let alone surpass each previous year’s total donation. I would like to thank the following people for sponsoring me in Extra Life 2012. Without you all, this wouldn’t have meant much of anything. The definite highlight of the night was playing with friends. Adventuring through a Minecraft world and shooting aliens in Halo: Reach is so much more fun when you have friends with you. Finishing the story to Borderlands 2 and Mark of the Ninja was a ton of fun and I hope the pictures and updates I posted throughout the 24 hours was entertaining and not too annoying. With the winter release of video games on the way, I’m already planning on playing many more games with friends during these cold winter months. Thank you all again for the help, the kinds words, and the support in donations and spreading the message. I would also like to thank my lovely girlfriend, Yaicha, for helping me with all of the much-needed food and drink during the marathon, especially near hour 20. Without her, this would’ve been tougher than it was. Now, to get back to gaming! As usual, I’ve been trying to write more often on the blog and have been slacking. But, for good reason: I’ve been crazy busy with my new job! Most of my friends and family know that I have a new job, but few know exactly what I do, so I thought I’d write a post explaining what it is I do. I work for a boutique PR agency called Watershed Communications that’s located in downtown Portland. Most of our clients are upscale restaurants and wine, cider, and beer makers, which means lots of fun reading news about the food and beverage industries. I’m currently an intern, but have been applying my expertise in a variety of areas. My day-to-day job is to track media pitches and mentions, but I’ve also written news releases, created media lists and have had many group brainstorm sessions about social media marketing. It has been very busy, but rewarding to feel like my arrival has helped the business in a positive way. Another fun perk of the job is going to rad client events like the Portland Fresh Hop Festival and the Feast 2012 Sandwich Invitational. I will be writing posts about both of those events in the coming days. And I can’t forget the occasional dinner and bottle of wine I can take home; those are little perks I love getting. Stepping back into public relations after delving into the advertising realm of social media has been a smooth process and I’m happy about the direction I’ve taken. It definitely seemed ideal to get a job here after all of the papers I’ve written in school and food and beer. If you want to follow along with what our agency is doing, feel free to check out the website and connect with us on Facebook and Twitter. Thanks again for reading!